Find information about driver's ed, driver's training, practice tests, and DMV tests. Get tips on learning to drive and be prepared to ace your tests. Find driver’s Ed course requirements and options by state. Learn about completing driver’s education online or in a classroom to earn your driver's license. Find out about your state's driver training requirements, training courses, supervised behind-the-wheel practice, and more. 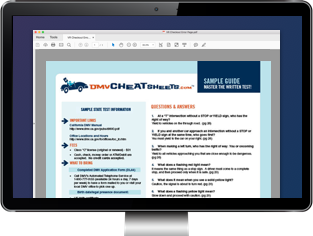 Prepare for your DMV written permit test with practice tests and tips. Find information on what to expect and how to pass your first try. You'll have your learner's permit before you know it! Get ready for your DMV road test with the driving practice tips in this section. Learn what to expect and how to prepare. Parallel parking, driving a manual car, and mastering the basics behind the wheel—find this information and more that will help you learn to drive. Some of the basic road signs you see every day are easy to understand, but there are many traffic signs that aren't as intuitive. See this list for a breakdown of the meaning behind each road sign. Pase el examen escrito del DMV en su primer intento. Estudio con nuestro examen práctica escrita DMV y obtener su licencia de conducir.